that “he was bowling and that was cool”. and ” he will lower gas prices and end wars in the nuclear”. Okay we are all about free will here and they just refused to invite the Green Party in. The teenager hates America with all her might no reason just – “its not Japan”. So here is a site one of my friends sent me that I am passing on to you. I am not sure what moveon.org means by “nonpartisan” it seems to have little kid logic in its mission. for neat (free) Obama stickers. 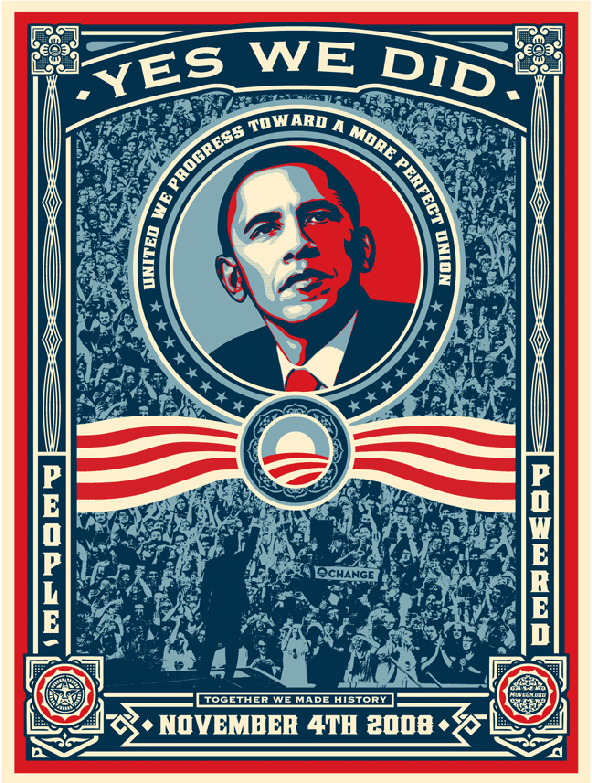 He really did have the most fabulous campaign art – though I am still concerened over the muted red white and blue colors….